Next to Thanksgiving dinner, a funeral, and the wedding altar, the absolute worst place to break up with someone has to be a crowded airplane -- especially one that's delayed on the tarmac. Still, that didn't stop a nameless dude from reverse-popping-the-question to his girlfriend while they sat together waiting for their plane to take off this past Sunday. Fortunately for the rest of us, a woman named Kelly Keegs was there to live-tweet the ensuing fiasco in real time, and the resulting carnage will go down as one of history's all-time best breakups, second only to John and Lorena Bobbitt's hog-slicing farewell. Moral of the story? 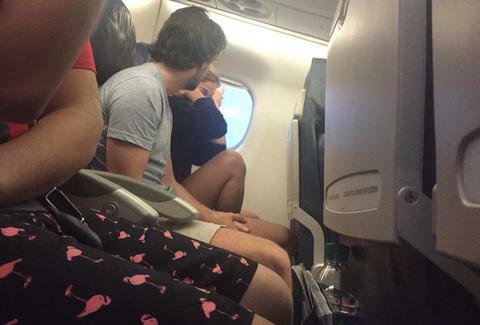 If you see something awkward go down on your next flight, spring for the in-flight WiFi. It'll be worth the money.